This view is taken from the cutting on the east side of the Light Arch, looking back towards the arch. Parlington Lane is on the left about 3 or 4ft above the cutting. 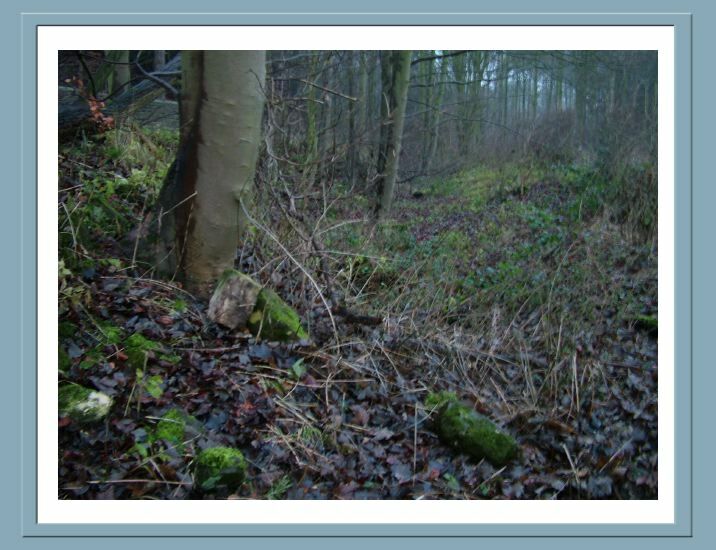 In the foreground is evidence of masonry having been tipped, probably from the Hall demolitions of the 1950's as much of the Hall was unceremoniously dumped in the Pinfold Quarry near here!